Born and raised in the Netherlands, Eric Potma got his Masters at the University of Groningen in 1996. He stayed five more years for his graduate research, which he completed in 2001. While working in the ultrafast spectroscopy group of Prof. Douwe Wiersma, Eric focused his research on the development of laser sources for microscopy and the application of nonlinear methods to optical imaging. In 2001, Potma joined the group of Prof. Sunney Xie at Harvard University as a postdoctoral fellow. During this time, he was been involved with projects on synchronizing mode-locked lasers, visualizing lipid bilayers with CARS microscopy and vibrational imaging of tissue in vivo at video rate. In 2005, Eric joined the Department of Chemistry at the University of California in Irvine, where he currently is a Professor of Chemistry. 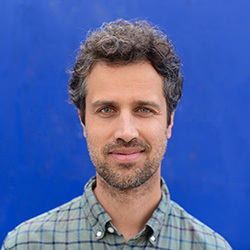 His group focuses on the characterization of nano-structured materials and biological tissues with the aid of new optical imaging techniques. Dr. Ahmed Abdelmonem is a project leader of an independent research program funded by the German Research Foundation (DFG). His expertise includes 1) physical chemistry and molecular level characterization of surfaces and interfaces using linear and nonlinear optical spectroscopy, 2) studying ice- and water-mineral interactions under atmospheric and environmental conditions, 3) the development and application of airborne optical instruments for in-situ climate research (received an R&D award from the KIT in 2013). In 2014, he established a new research line at the KIT, “Atmospheric Surface Science”, to study physics and chemistry of the atmosphere on the molecular level using NLO spectroscopy (mainly SHG and SFG). 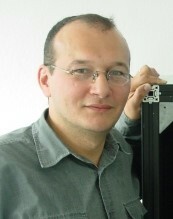 Emmanuel Beaurepaire is a specialist of multiphoton microscopy of tissues. He works at the Laboratory for Optics and Biosciences at Ecole polytechnique (Palaiseau, France), where he is appointed as a Research Director by the CNRS. Prof. Bood received his MSc and PhD degrees in Physics from Lund University, Sweden. His PhD project concerned development and application of Coherent anti-Stokes Raman spectroscopy (CARS) for thermometry and species concentration measurements. He was then a postdoctoral fellow at Sandia National Laboratories, California, USA, working on development of cavity-enhanced frequency-modulation spectroscopy (NICE-OHMS) for ultrasensitive detection. 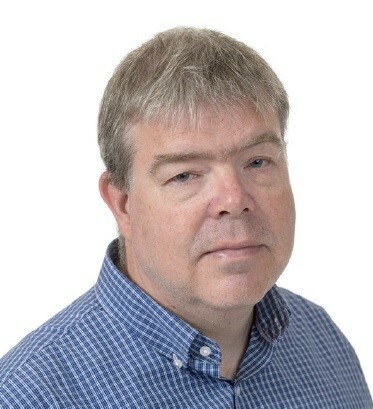 Prof. Bood is currently full professor at Lund University, where he is running a research program focused on short-pulse (ps/fs) spectroscopy, applied molecular spectroscopy, and laser/optical remote sensing. He has coauthored more than 80 scientific articles, including a number of review papers and book chapters. Since 2015, Prof. Bood is Deputy Director of the Lund Laser Centre. Dr. Waruna Kulatilaka is an Associate Professor and Morris E. Foster Faculty Fellow I in the J. Mike Walker ’66 Department of Mechanical Engineering at Texas A&M University. He also holds a joint courtesy appointment in the Department of Aerospace Engineering. Dr. Kulatilaka’s research activities are centered on the development and application of advanced optical and laser-based diagnostics for combustion, propulsion and fluid dynamics studies. 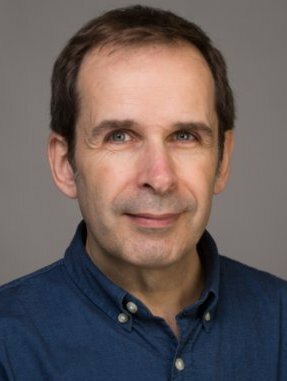 In recent years, he has made significant contributions to the development ultrashort-pulse multi-photon imaging techniques for highly reactive atomic species such as H and O. His work is reported in over 50 peer-reviewed journal articles and numerous conference publications and presentations. 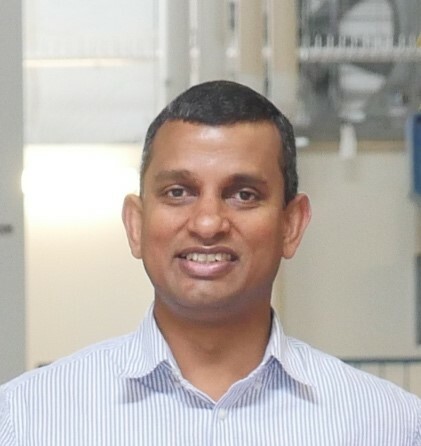 Prior to the current appointment, Dr. Kulatilaka was a Senior Research Scientist/On-Site Contractor at the Air Force Research Laboratory at Wright-Patterson Air Force Base, OH (AFRL/RQTC), and also completed a postdoctoral research term at the Combustion Research Facility (CRF) at the Sandi National Laboratories, CA. He is active in numerous professional organizations, including ASME (Fellow), AIAA (Associate Fellow), OSA (Senior Member), the Combustion Institute (Board Member–Central States Section), and has also won several significant awards. Elena Obraztsova was graduated from the quantum radiophysics chair of the Physics Department of M.V. Lomonosov Moscow State University (MSU) in 1981. She got her PhD in optics at MSU in 1990. Since 1992, she worked at A.M. Prokhorov General Physics Institute of Russian Academy of Sciences (GPI RAS), heading the Nanomaterials spectroscopy laboratory since 2001. Since 2018 she is also a Head of Nanocarbon materials laboratory in Moscow Institute of Physics and Technology (MIPT), formed as a joint laboratory of Russian Academy of Sciences and MIPT. Her scientific interests concern synthesis, optical spectroscopy and applications of low-dimensional materials. Last years, she was involved in studies of different forms of nanocarbon. An important cycle of works on laser applications of carbon nanotubes and graphene was performed. She is a coauthor of more than 270 papers in reviewed journals. Her Hirsh factor is 32. She was a supervisor of 13 PhD theses defended. She is a coordinator of several national and international research projects and a member of the editorial advisory board of 2 international scientific journals: Carbon and Laser Physics Letters. 3 times she was a Guest editor of specials issues of “Journal of Nanoelectronics and Optoelectronics”. 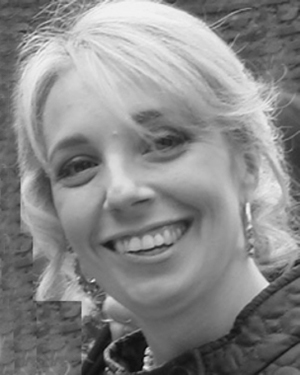 Caterina Merla received her PhD in electronic engineering in 2008 on electromagnetic modelling of cells in the framework of bioelectromagnetic studies. Caterina Merla received the “Young Scientist Award” from the International Union of Radio-Science URSI, in 2008 at the General Assembly in Chigago, IL USA, for her work of thesis. Then, she worked as a post-doc from 2008 to 2012 at XLIM CNRS-University of Limoges France, and at the Inter-University Centre for the Study of Electromagnetic Fields and Biosystems (ICEmB, Univ. Genoa) Italy. She was researcher at Light University, Bethlehem PA USA, in 2012; since 2013 she is researcher at ENEA (National Italian Agency for Energy and New Technolgoies) CR Casaccia, Rome Italy. In 2015, she was the recipient of a H2020 Marie Sklodwska Curie Action Individual-Fellowship (g.a. 661041 OPTIC-BIOEM) at CNRS UMR 8203, Institute Gustave Roussy, Villejuif France studing cell electropermeabilization mechanisms using non-linear optics. Now, Caterina Merla is co-PI for ENEA of a H2020-FETOPEN-2016-2017 action, g.a. 737164, – SUMCASTEC (Semiconductor-based Ultra-wideband Micromanipulation of CAncer STEm Cells). 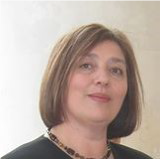 Caterina Merla is author of 41 articles (H-index of 17) in the field bioelectromagnetics and bioelectrochemistry on international peer reviewed journals, and over 100 contributions to international conferences. C. Merla has been invited as speaker in different international conferences, she chaired and organized various sessions at international meetings, she has been member of scientific committees. She participates in editorial boards (Frontier in Public Health-Radiation and Health) and acts as reviewer for various international journals. C. Merla has numerous international collaborations both in EU and US.